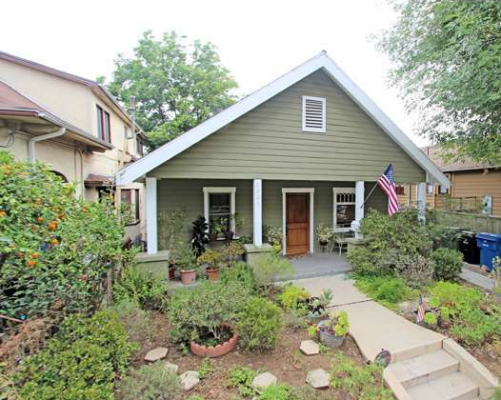 This cozy Echo Park Cool post is brought to you by this equally cozy Echo Park bungalow. 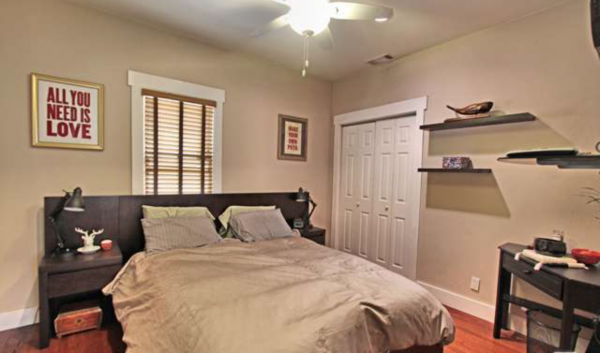 With a few surprises up its sleeve, this 900 square foot charmer should certainly please. Built in 1908–though tastefully updated to include expected amenities such as central air and heat–this 2 bedroom, 1 bath bungalow hits market at $699,ooo. 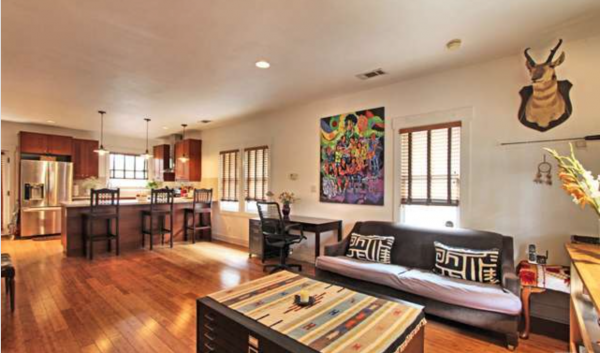 With an open floor plan that includes a deck off the kitchen, livable space has been maximized. 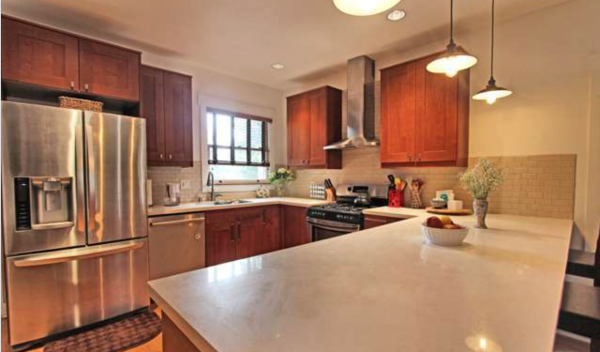 The hardwood floors are original, the appliances stainless steel. Thankfully, period charm remains amongst the rather stoic updates. 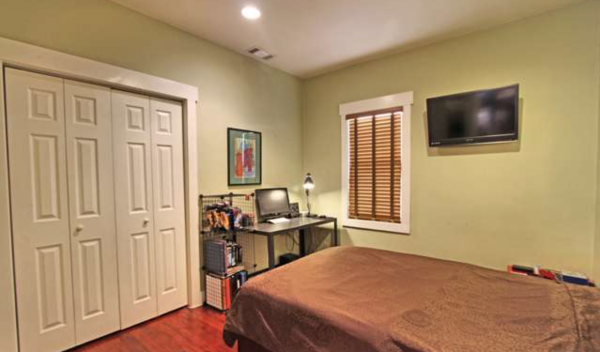 Yep, two bedrooms as advertised. 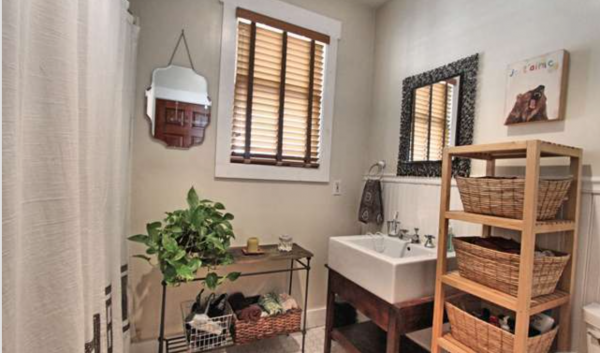 The single bathroom has decent character — thanks to a farmhouse sink, 2/3rd wainscoting, and hexagonal tile work. 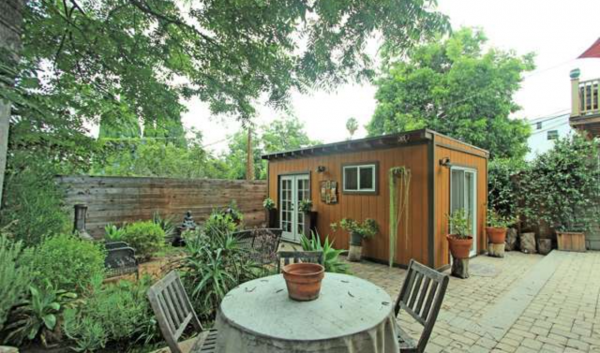 There is a lot to like about the spacious and well-landscaped backyard, especially given a healthy 230 square foot studio. An elevated deck allows for space underneath for added storage, while doubling as a great perch for al fresco entertaining. Below you’ll find additional seating areas for extra guests, or a place for a quiet evening. 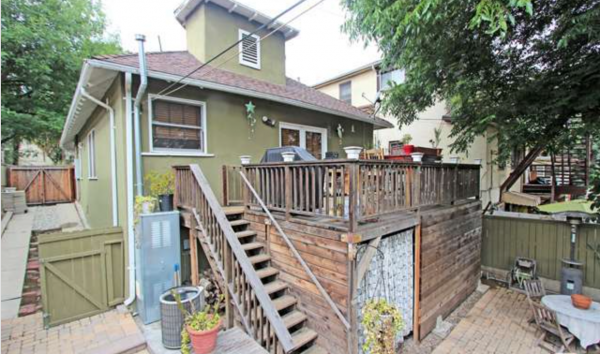 Ken Shapiro of Silverwood Properties has the listing.